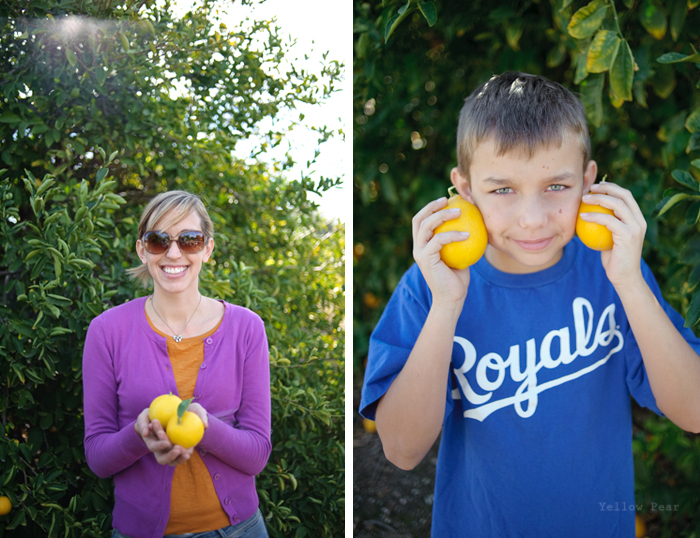 Our local citrus farm is open again...all the way until March. I'm so happy. 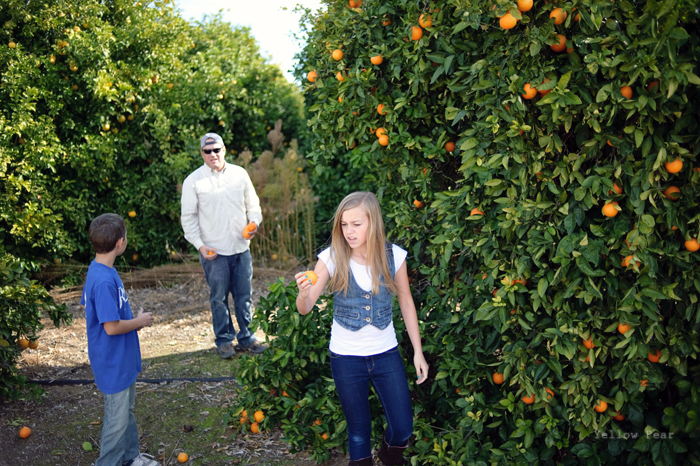 The Saturday before Christmas, we headed out to pick a bunch of fruit as gifts for our families. 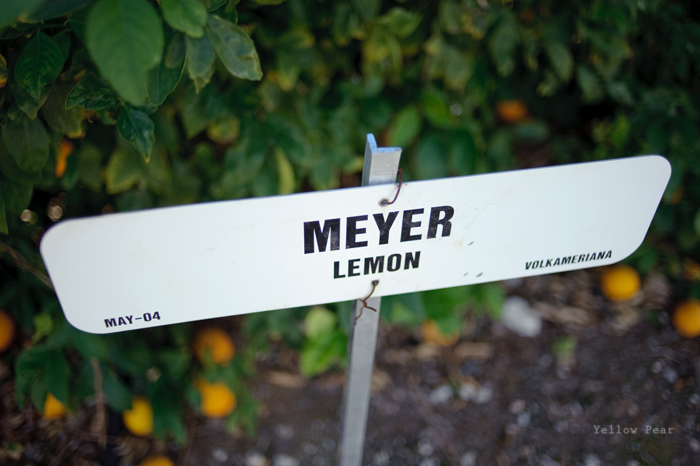 This time we got Palestine Sweet Limes (very sweet and taste like lemonade), a couple of tangerine varieties, some lemons, grapefruit and oranges. I sure do love the desert this time of year. 'Tis absolutely gorgeous. 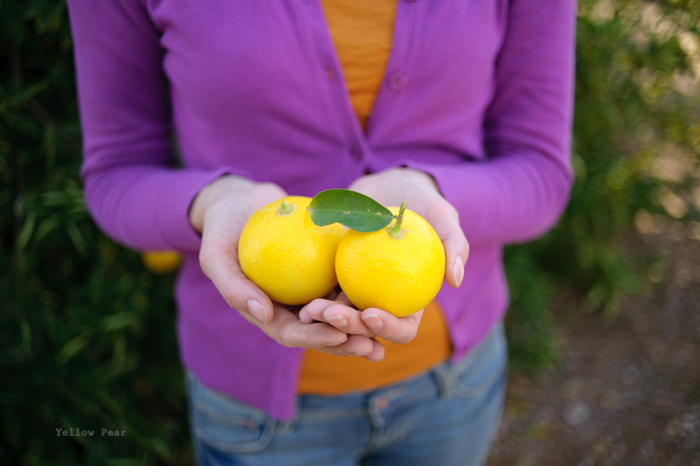 And so is citrus. 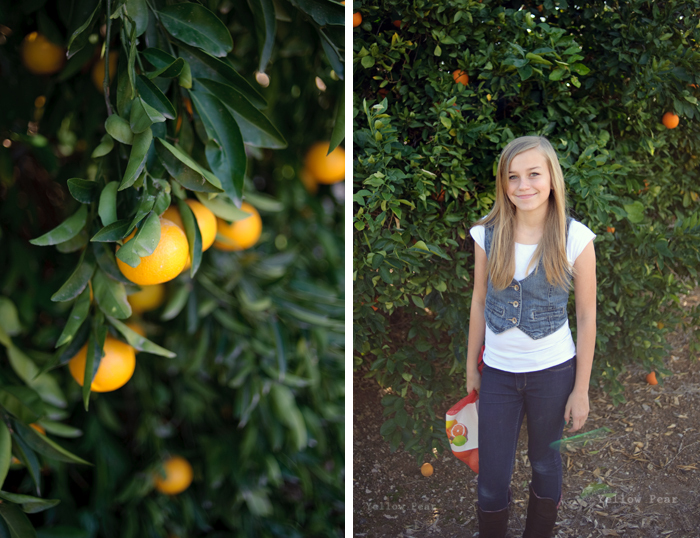 I loved these teeny mandarinquats or whatever they were called. Some kumquat variety... and you probably can't tell, but they are very small and dainty. 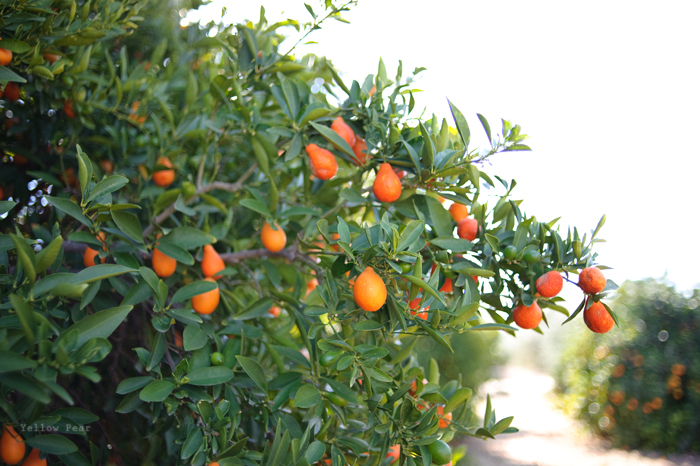 Like little orange bells that you can eat, except you can't yet because they are not ripe. Ask Miss B. They were super sour. So technically you can if you like super sonic sour things like warheads. But I don't. We used Dennis' hood for a convenient basket to and from the wheelbarrow. 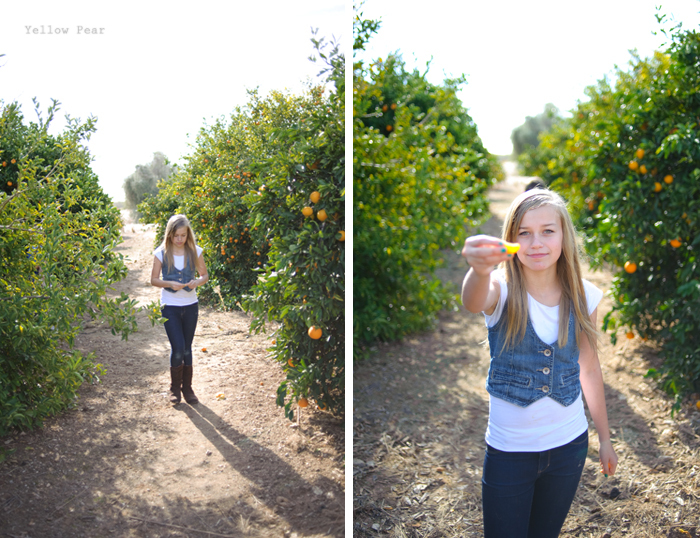 I fell in love with the sweet limes (that look like yellow oranges...go figure). And Mr. C was an all-star fruit-harvester and wheelbarrow-driver. 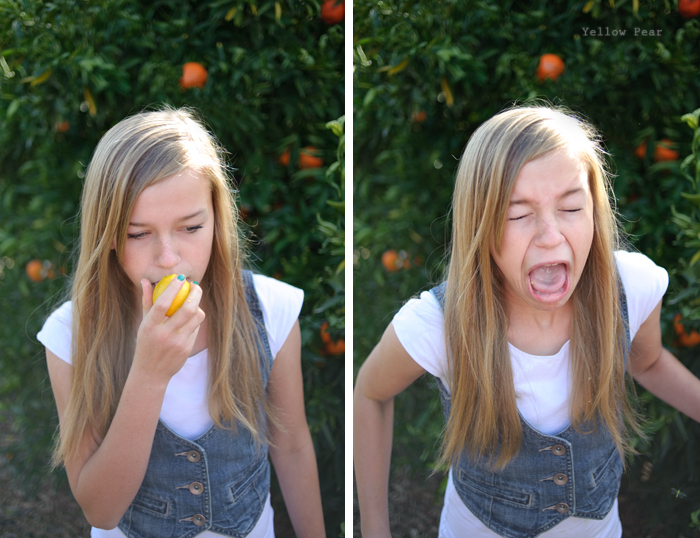 Miss B decided to try out a giant lick of lemon. This is what happened. It makes me so very joyful. Check out that face. 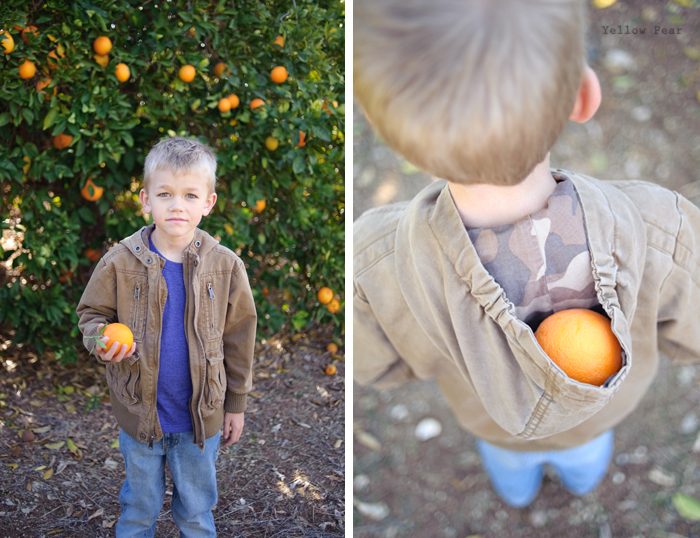 Q just loved the fact that he could easily reach all kinds of fruit. 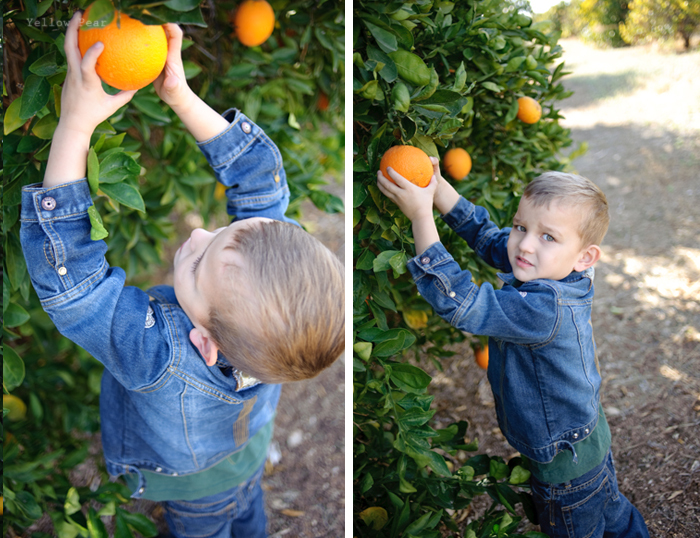 We just had to keep an eye on what exactly he was picking. And good thing Dad was there organizing the operation, because I get distracted taking pictures. I realized I took a lot of photos of Miss B. I think it's because she's the most cooperative. Take me to this place that you speak of, Lou. That looks like so much fun, you'll have to tell me where it is.